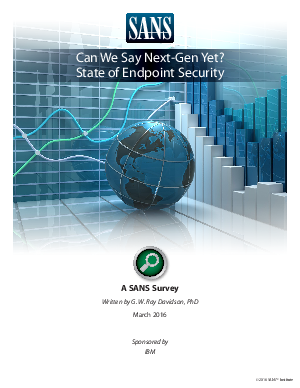 According to the 2016 State of Endpoint Security Survey released by the SANS™ Institute 44% of respondents report that one or more of their endpoints have been breached in the past 24 months. These statistics encompass a wide set of industries, from financial services to education. So while each network is uniquely built to support your particular business, none is immune from being breached.